Sign up for one of the best courses and times you can have on your mountain bike! The High Cascades 100 is one of the largest single loop events in the US, with 100 miles of terrain. 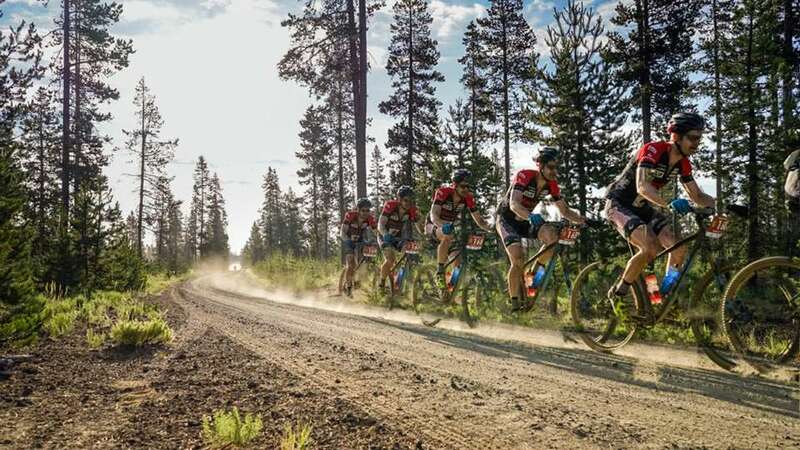 Staging from beautiful Bend Oregon, this western endurance event features a family friendly vacation wrapped into a race with 5 aid stations, 2 drop bag locations and full support along the way. While not an incredible amount of climbing at 10,000 ft or so, what this course lacks in overall climbing, it makes up with constant singletrack that deserves your attention. The course features an 85% finisher rate and a high number of women riders making up the 350 person field limit. Few other races feature 40+ breweries, world class singletrack and lodging at Mt Bachelor Village. Racers will enjoy the 90% singletrack loop race with some of the nicest riders you’ll ever meet! One of the main highlights included in this event (unless the snow fall is too heavy) is the trip around MT Bachelor from Dutchman Snow Park. This 25-mile loop features fast sections of trail combined with unique riding over old lava flows as you make your way to Lava Lake. From there, it’s a tough climb out to Edison Snow Park for a well-deserved aid station. Pointing out a highlight is tough as so many sections will keep you pushing your pace with alpine stream crossings, meadows of flowers and flowing sections on your way to the finish!